This is the finale to this team's first story arc, and I was mostly impressed with this. I liked how Mairghread Scott connected this to Benjamin Percy's NIGHTWING run, but I can't help but feel like I need to move away from that story since it didn't pan out very well. It seems, based on the ending to this issue, that we'll be tackling some new threads going forward, and that makes me happy. I think Paul Pelletier is reaching new heights with this run. He's been around for a while and he's been doing a lot of the huge, bombastic superhero stuff, but his work here is a lot more subdued and very character-driven. There's a very simple scene near the end of the book that Pelletier absolutely nailed visually, and I hope he has a long run on this character. I think this is the work of his career. Norm Rapmund is also doing something special. I've always admired Pelletier's work in the past but Rapmund gives the linework a solid edge that feels really sharp. Jordie Bellaire's colouring provides a palette that complements the linework in such a grounded way. This is one of the most gorgeous books you'll read all week. 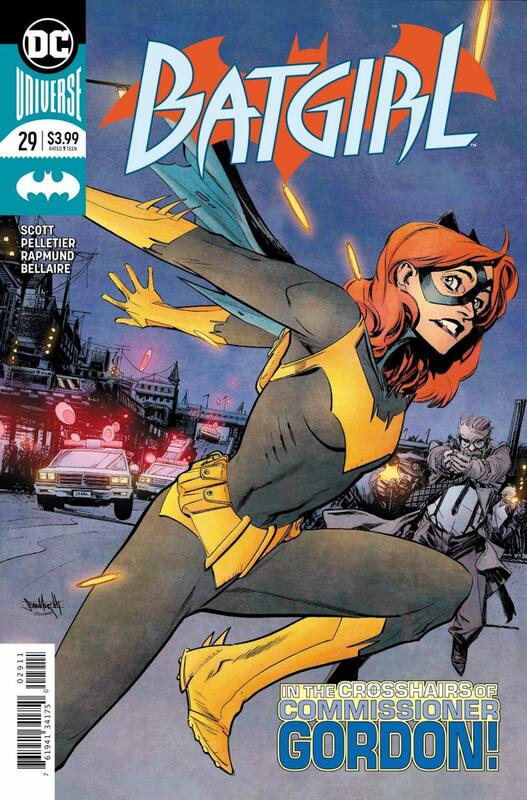 Sean Murphy's redesign of the Batgirl costume is also a winner for me. Scott has such a nice handle on the character of Barbara. There's a stubbornness and resilience that she shares with Batman but her connection to her father is what makes this story so compelling in the end. It's not that his life is in danger and she has to save him, it's because they're both going through hard times and they have each other to help them get through the hard times. As far as the entire DC Comics catalogue goes, this is one of the best books they're publishing. Scott has finally pulled Batgirl out of the trench she has been in for years and is writing the most compelling version of the character in years.